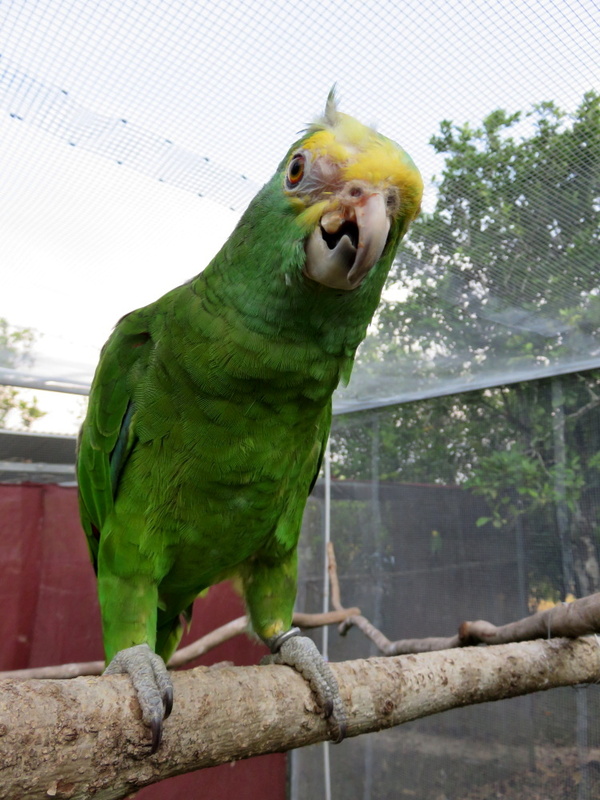 Home » Belize Travel Blog » Animals & Wildlife » Belize Bird Rescue: If You Love Parrots, Set Them Free! 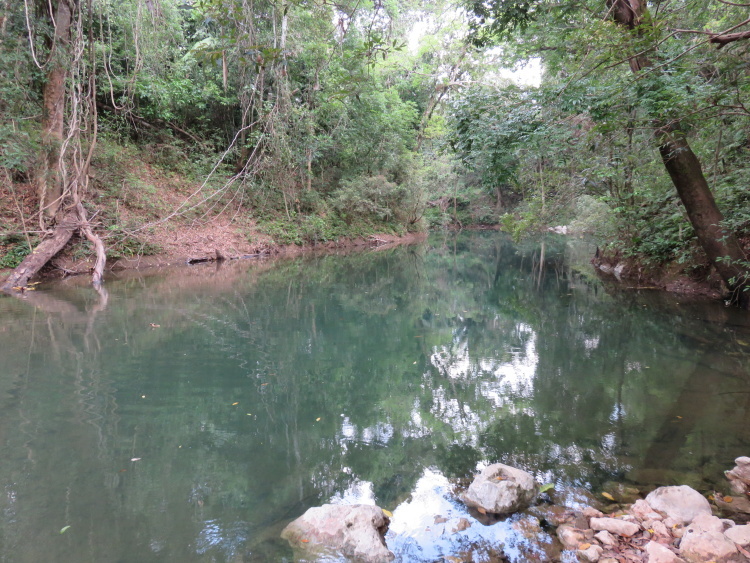 Nikki has a gorgeous property just outside of Belmopan and she drove over to pick us up as well as two scared hissing baby barn owls that had been dropped off at the FANTASTIC Belize Zoo. 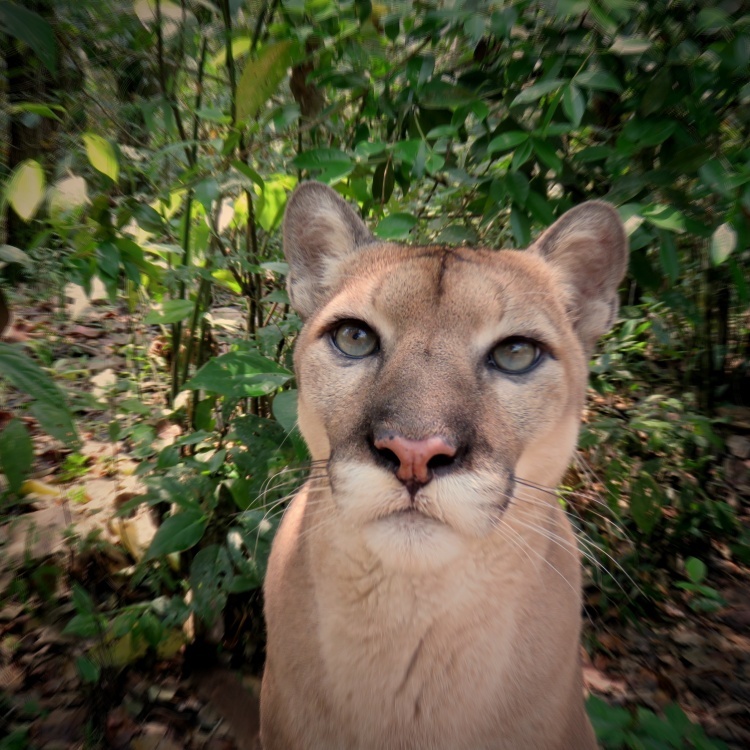 Fear not, they were no where near the puma. 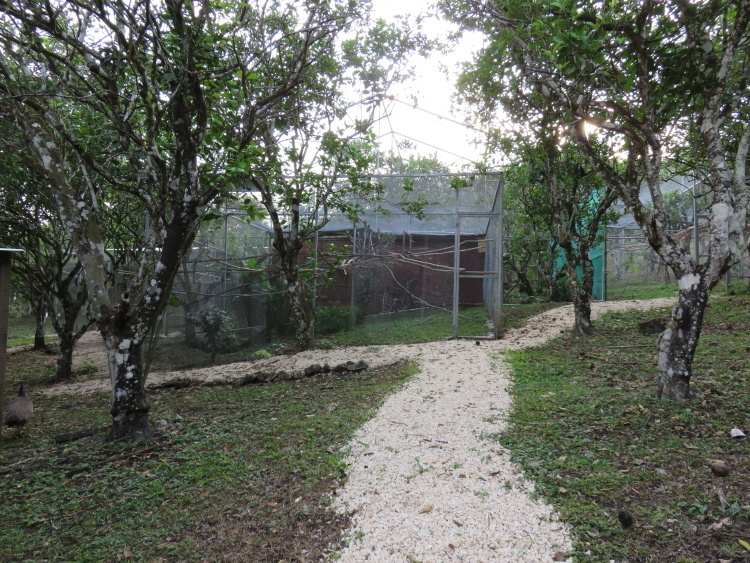 Ten years ago, Nikki moved to Belize and immediately saw the need for the birds. 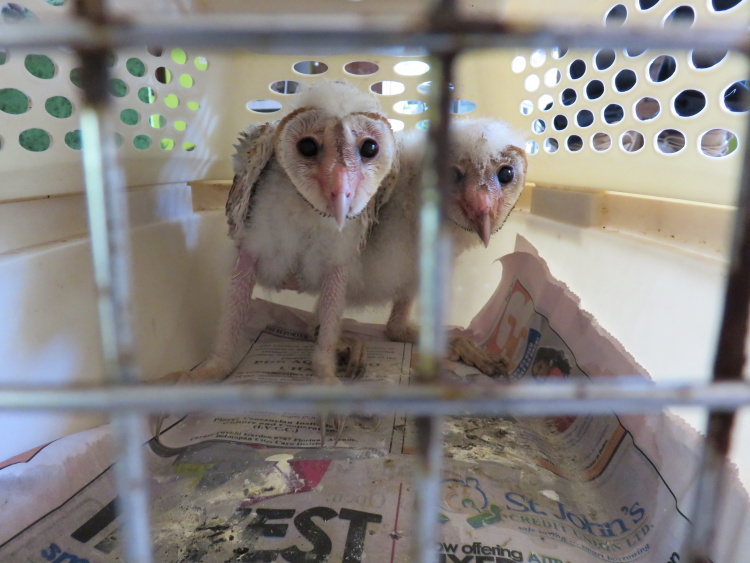 There were many good rules and laws in place – against owning parrots without permits, against the horrible poaching of the babies from the nest- but, as with anywhere, education and enforcement were difficult. Exactly. If you love them, let them fly free. 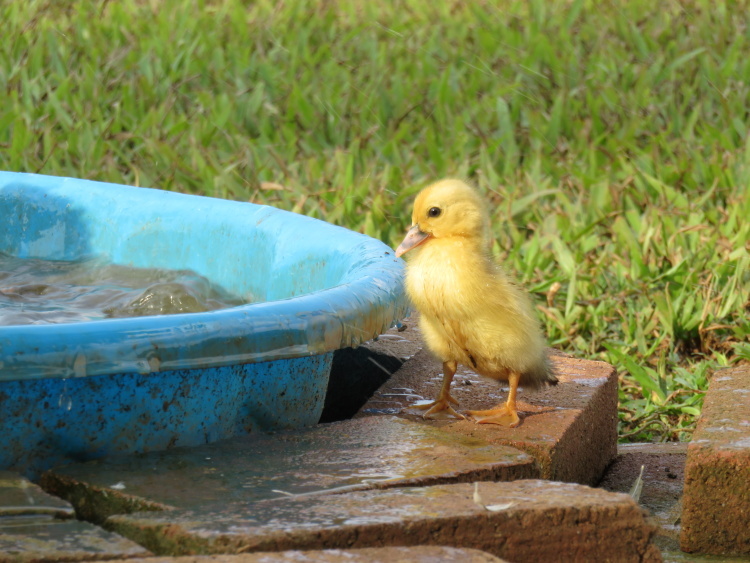 There was also a huge need for sick or injured birds – both those who had been kept as pets and mistreated or birds that were found hurt. Nikki got to work…and birds quickly became her passion. 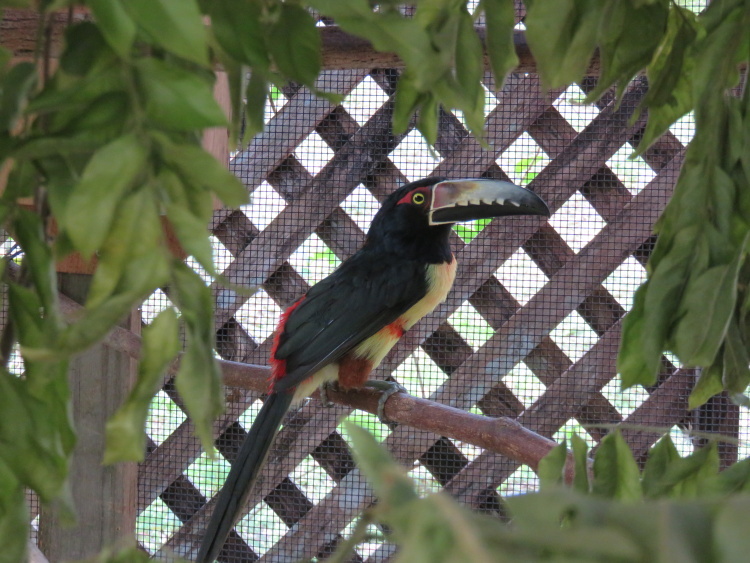 Belize has some GORGEOUS native birds. An amazing climate and country where birds like Harry fly free in the wild. Let me show you some of the birds I saw. 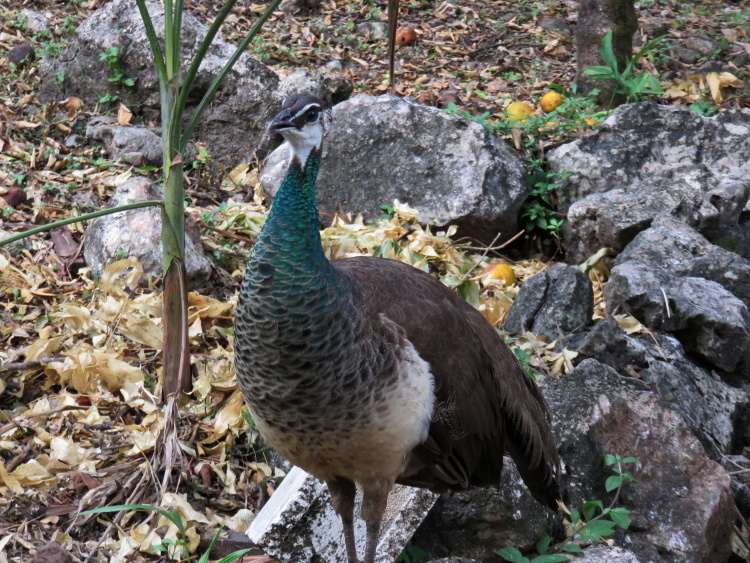 Most being rehabilitated so that ultimately they can fly free, find a mate and…well…make more beautiful birds. 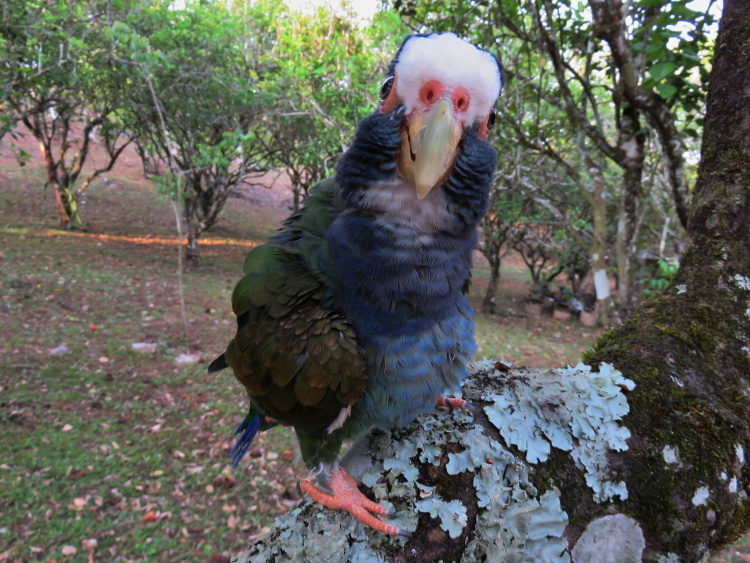 Nikki and her staff care for many parrots (and you can see lots more on the website), a few hawks, one zillion chickens, guinea fowl, ducks and turkey, some pea hens, wood peckers (that are being hand fed mealy worms with tweezers). 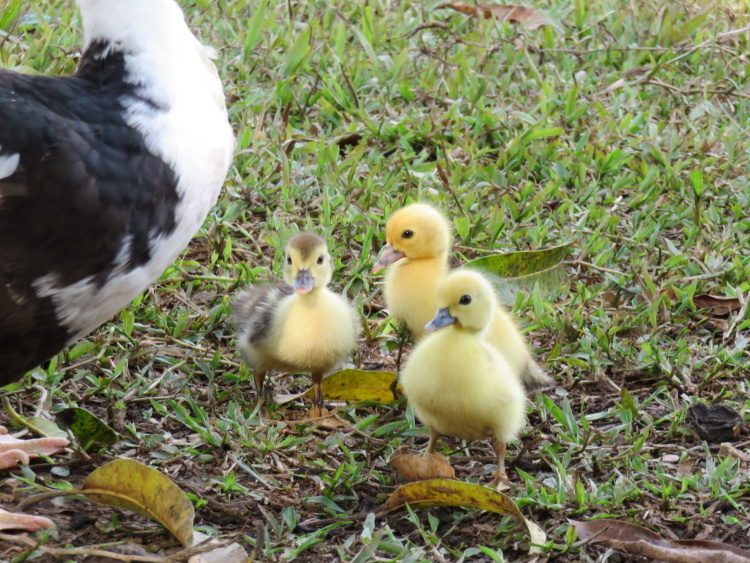 Okay…run of the mill duckies for those in the states but SO CUTE. 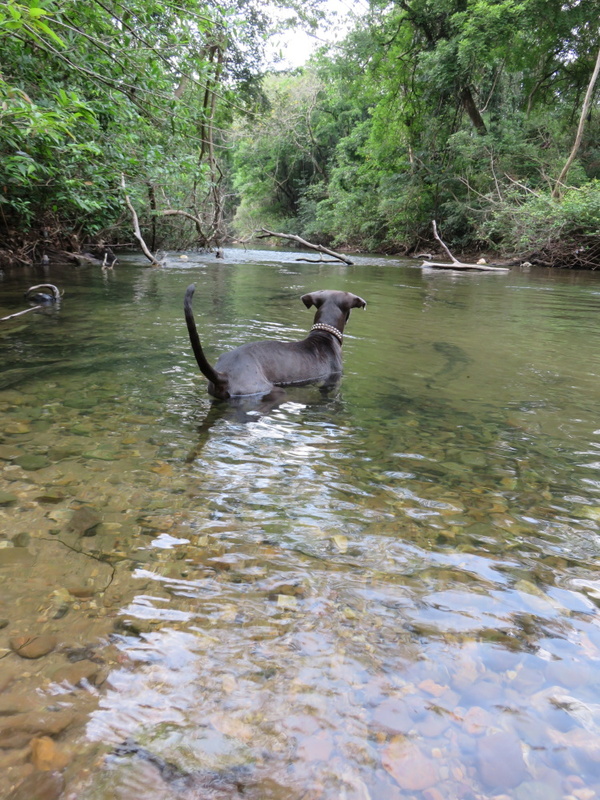 Decided NOT to take his first swim. 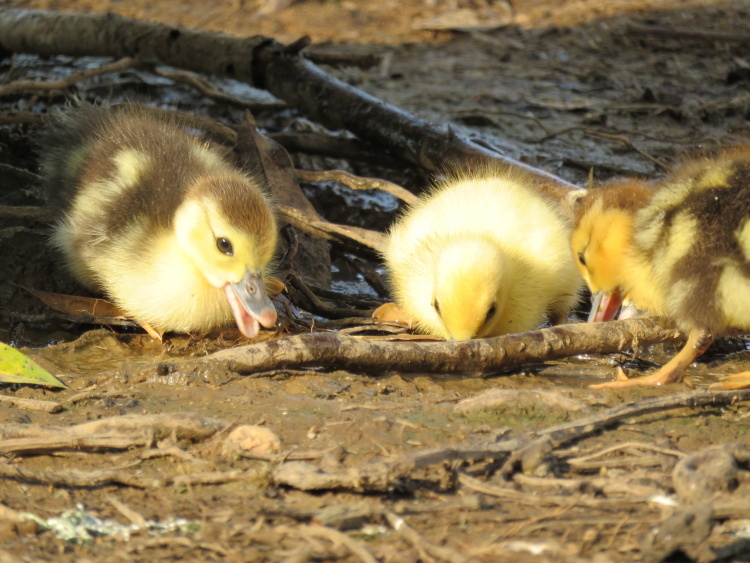 Nobody is getting pushed out of the nest here. And most of these guys have enclosures with ponds, trees, and more room then my condo. 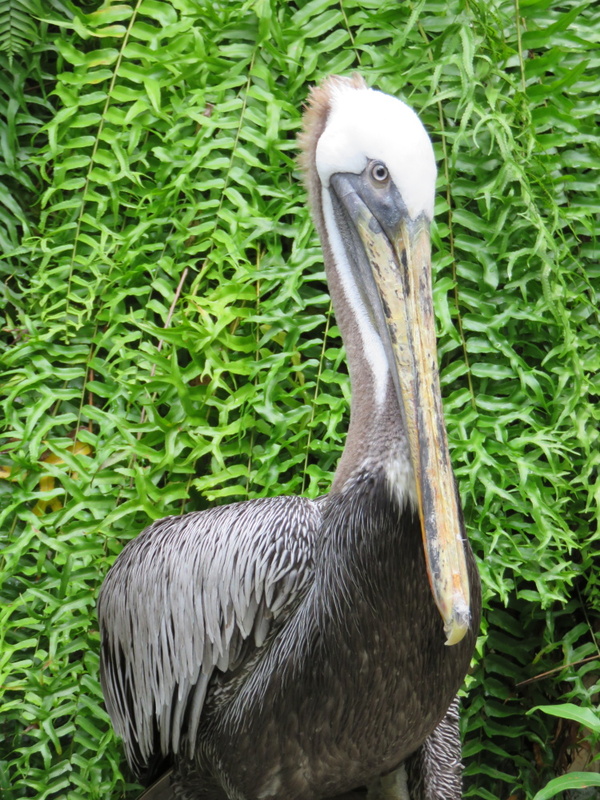 This handsome guy had a bit of his beak chomped off by another bird in the wild. 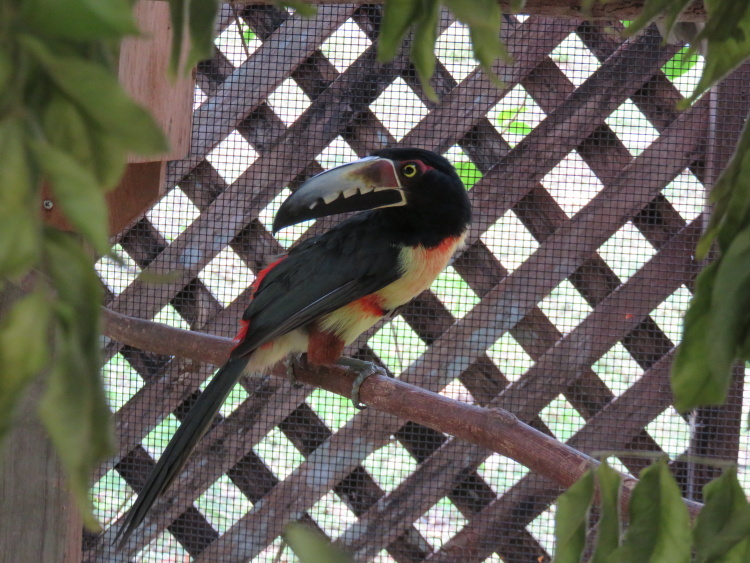 And look at this beautiful toucan. This bird does not look real to me. And also wanted NOTHING to do with humans. Which is exactly right. These birds are SO not pets. And need lots of room (away from evil humans) to fly. Harry, the female, one more time trying to chomp on my camera. This navy blue and peach parrot is just a beauty. Nikki and her team are doing amazing work. 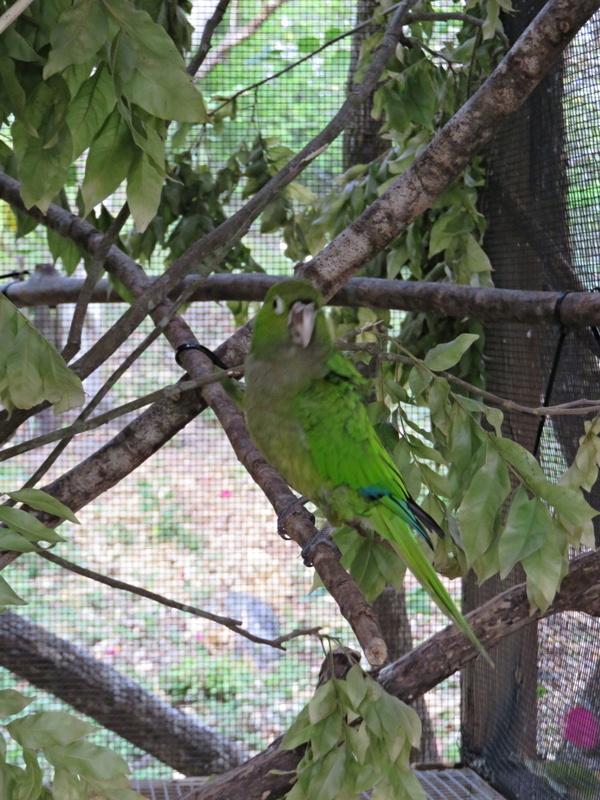 And just on the brief tour, I learned a ton about parrots. 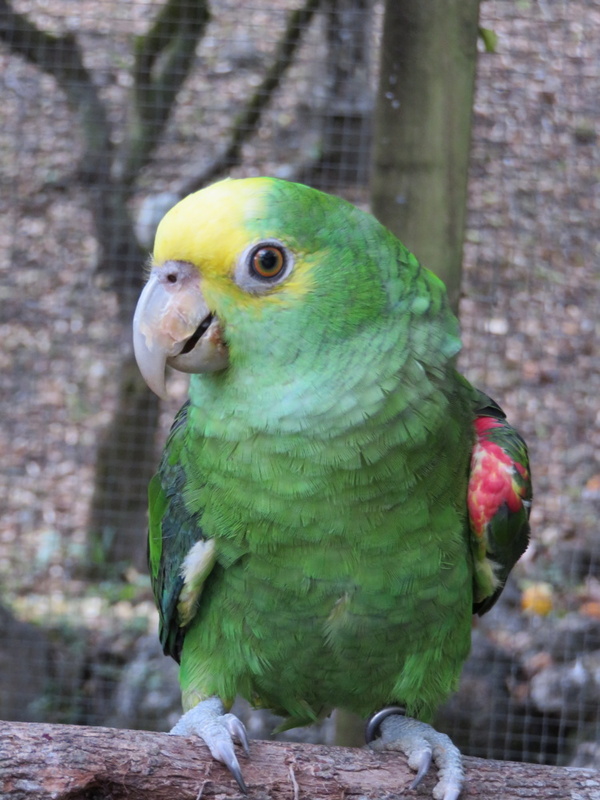 Owning a parrot in Belize is illegal. Any bird. And when it comes to parrots as pets? I only needed to learn one thing. Parrots live for 45 to 90…NINETY years!!!! Do you want to encourage the removal of babies from the wild? To potentially hurt or kill her with the wrong food or watering or just shock? 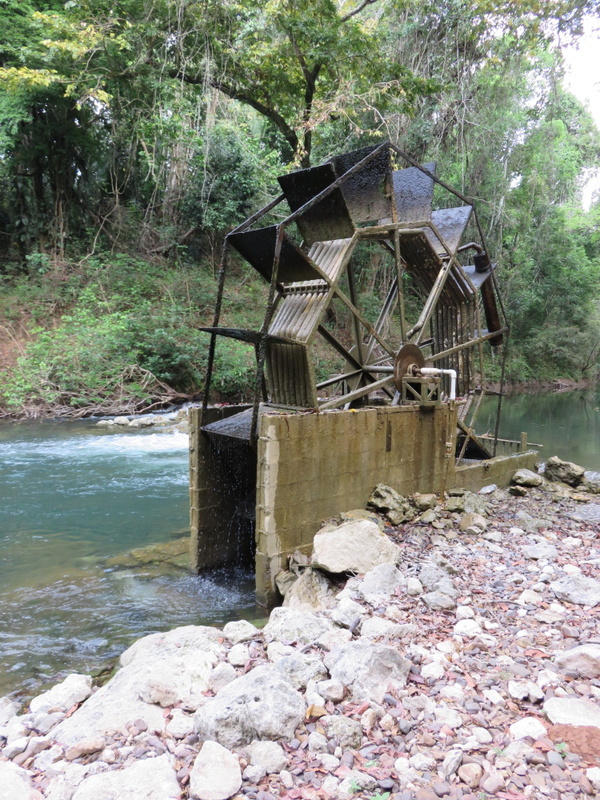 From an economic perspective, just think of all the people that visit Belize as birders or to enjoy the amazing wildlife of Belize. Many visit to see these species, like the rare scarlet macaw, in the wild. Because they can’t see it anywhere else. And lastly and most logically, can you take care of ANYTHING for 90 years? I know I can’t. Parrots, in fact all birds, aren’t pets. 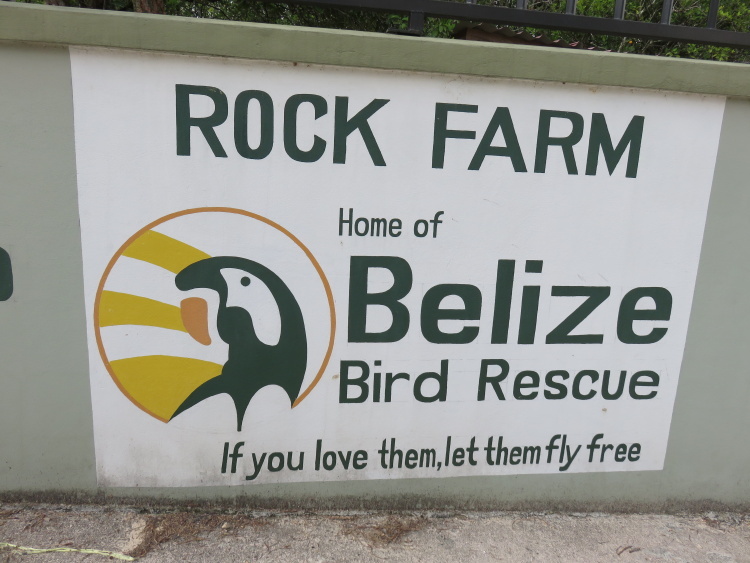 Particularly in Belize – THEY NEED TO FLY FREE! 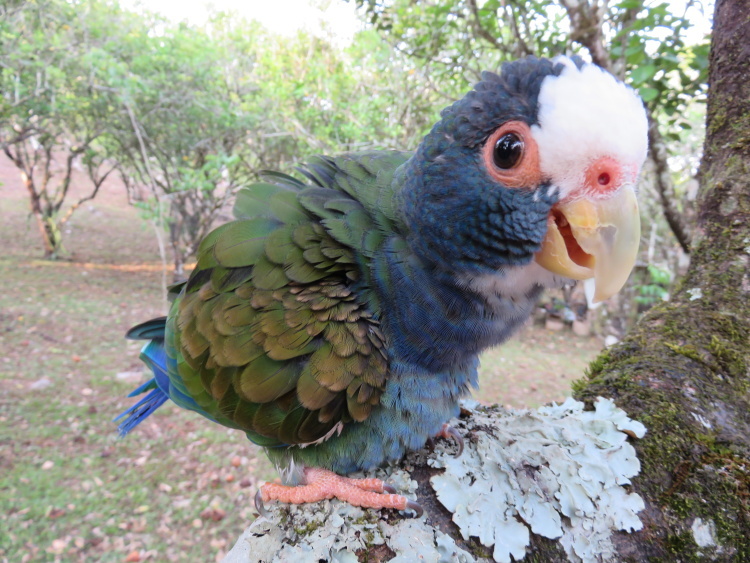 For tons of information on parrots, on the birds of Belize, about wildlife in general and about Nikki and her rescue program, please check out the Belize Bird Rescue website. They do amazing work. Great report! I’ve met Nikki been never been to her place. Appreciated the pics. Thanks very much. Very cool to visit and see what she is doing.